Welcome to Sitting Around! I’m Erica Zidel, the founder. It was over two years ago that Ted and I first started working on what would eventually become Sitting Around, a site that aims to ease the burden of childcare for millions of families across the country. On March 7, 2011, we opened Sitting Around up for beta, and I have been overwhelmed and humbled by the great response we have received. Sitting Around is more than just a tool to make starting and managing a babysitting coop as simple as it ought to be. In my mind, Sitting Around is an introduction to the very concept of babysitting coops themselves. Turns out, there were two problems. First, there wasn’t a good way to manage coops. Most coops were using an amalgamation of cobbled together tools — excel spreadsheets, yahoo groups, email lists, etc. Definitely not best practice. Okay, Ted and I thought, we’ll build an easy to use website for babysitting coop management. But the second problem was not as easily solved. 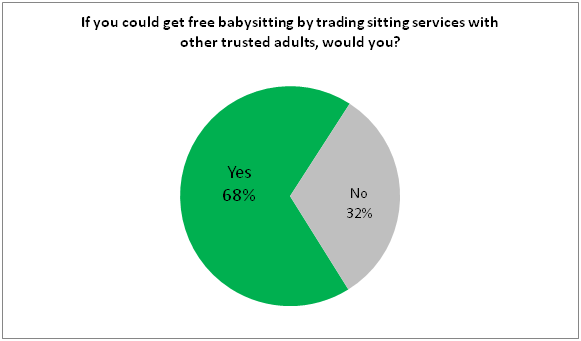 Like myself just two years ago, most parents don’t know much – if anything – about babysitting cooperatives. Since joining my own coop, my quality of life had improved substantially (free sitters, new friends) and I was inspired – no, make that determined – to share the message of coops with as many parents as I possibly could. The real goal of Sitting Around is to change the way people think about and interact with childcare. It is to make babysitting less about money and scheduling, and more about easily sharing responsibilities with other families in your community. As you explore the site and start your coop, please let us know if there are features you’d like to see added or things that would improve your experience here. I love hearing ways to make Sitting Around even better, and I hope you’ll enjoy your coop as much as I enjoy mine!